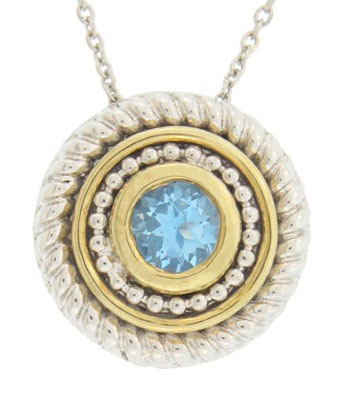 A brilliant round faceted blue topaz is the focus of this modern 10K yellow gold and sterling necklace. The sparkling stone is framed by alternating rings of 10K gold and sterling silver. Each frame is fashioned in a unique pattern. The bold pendant is attached to a sterling silver chain. 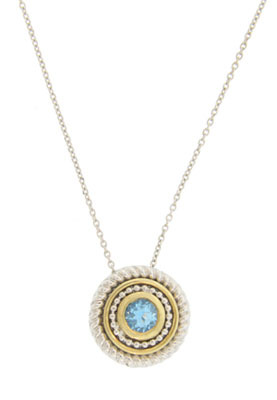 The pendant measures 3/4" in diameter, the chain measures 8 3/4" in length.